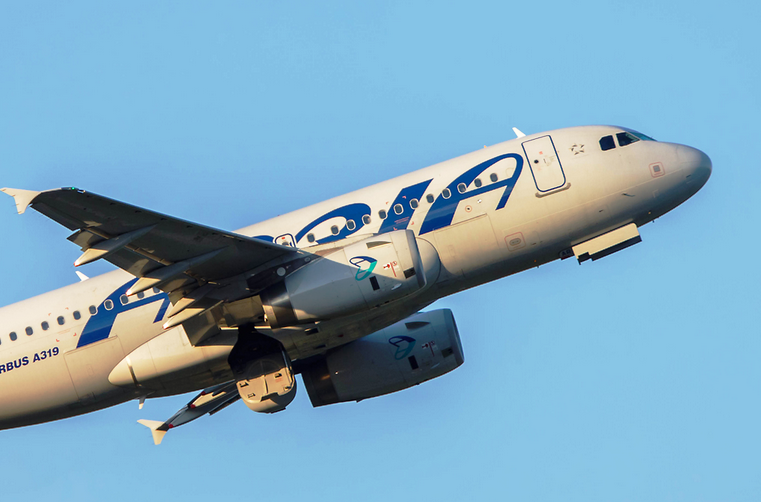 Adria Airways has confirmed it will lease an Airbus A319 aircraft this summer, making it the third jet of its type in the carrier’s fleet and the third plane to join the airline this season. The aircraft will enter the fleet in late May. Earlier this month, a high-density A320 joined Adria on a short-term basis (until late October), while a Bombardier CRJ700, nicknamed Lodz, also entered into service. As a result, the Slovenian carrier will operate a total of twelve aircraft this summer - one CRJ200 and CRJ700 each, six CRJ900s, three A319s and one A320. All of the jets with exception to the CRJ200 are on lease. The airline’s fleet expansion is in line with statements made by Adria’s CEO, Mark Anžur, late last year when he announced plans for up to six aircraft to join the carrier by 2016. “In the short-term, Adria plans to wetlease several A320-family aircraft with a total of five or six jets to join the fleet by 2016. We are also considering leasing aircraft larger than the A320”, Mr. Anžur said. The CEO noted that Adria will need higher capacity aircraft in order to keep up with expected growth trends this year. The Slovenian carrier will inaugurate flights to Stockholm tomorrow and services to Berlin on Friday. Earlier this month the airline introduced new flights from Tirana to Paris and Brussels and from Lodz to Amsterdam, while seasonal services from Maribor to London Southend Airport will be launched in June. The Slovenian carrier has recorded a strong start to the year, handling 203.633 passengers during the first quarter, an increase of 8% compared to the same period in 2014. Last year, Adria carried 1.113 million passengers and managed to emerge from the red. Its net profit topped 921.000 euros, with a net operating profit of three million euros. The Slovenian carrier plans to hit two million passengers per year and see a 220 million euro turnover by 2020, supported by an expanding fleet and several new bases across Europe. In January, three state-owned asset management institutions signed an agreement on the joint sale of a combined 91.58% stake in the flag carrier. They seem to be the only airline doing something. Is the A320 operated by Adria crew or Danish Air Transport from which it is wer leased? Thanks. It is a classic ACMI wet-lease. The crews are from DAT. 2 flight crew are from DAT and 2 DAT and 2 Adrias cabin crew. The A320 is based in Pristina right? Is it cheaper to have wet-lease with danish pilots? Hope this is because of good loads! Maybe they are sending back the ilegal immigrant.. I think Air Berlin and Bulgaria Air are used for those. Third A319 is powered by CFM engines is A319-111 c/n 1.000 and will come from Air France. This plane will be lease for 6 years. Great. When do they plan to retire this last CRJ 200? Or will it stay in the fleet? It stays, mostly for charters (eg.sport groups). Watch and learn JU... Adria is leasing new planes and growing while JU can't get its act together and lease a single additional A319 as a replacement for the archaic and passenger-unfriendly B733. agree. they are starting to annoy. i fly vienna belgrade latelyand its always eaither an atr or b733. in general it seems JU considers the vienna route as rock solid so they can throw the worst planes at it without worry..truly would be nice to fly once in an airbus on this route. OS takodje salje F70 ili F100 koji su slicni godinama sa 733 ali uskoro ce te moci leteti sa OS E195. Kao sto rekoh, na ovoj ruti JU leti sa najgorim avionima u svojoj floti i to me vec ozbiljno iritira. nije mi jasno po kom kriterijumu ne moze nikad da ide air bus a moze 737-300. austrian leti sa boljim avionima (nikad turbo-prop kada sam ja leteo sa njima a to je minimum 30 puta do sada). Letite sa F100 koji su vecinom preko 24 godine stari. Ja bi pre voleo da letim sa 7333 nego sa Atr 72. You would rather fly on JU's B733 with 147 seats rather than OS' F100? Pre sa 733 nego Atr 72 to sam rekao. Redovno leti 733 a nema potrebe A319? Ok...Moja poenta je da AS u svakom slucaju leti za Bec iskljucivo sa starim JATovim avionima, sto ja (mozda pogresno) tumacim da je zbog toga sto je linja solidna i drze da mogu da zakinu na kvalitetu bez posledica - sto ne mora da bude tacno jel recimo znam za par ljudi koji izbegavaju AS na ovoj liniji bas zbog aviona. Jok, Bec uopste ne ide tako dobro, OS ih je rasturio tu. Razlog sto tu ide 733 je zato sto je kratak let pa se lakse prezivi nego, recimo, za ARN ili BRU. Jadni oni koji su pre neki dan isli sa njime za DUS. Iz VIE sa ASL lete vecinom Balkanci pa verovatno zbog toga ne salji A319. Ali to su transferni putnici nisu samo SOF-BEG zato se i salje A319. ne razumem. zasto se salje a319 u slucaju da ima transfernih putnika? Preca im je trenutno SOF od VIE i zato ne salju A319 za VIE i ima precih destinacija. Nisam znao za dash, barem meni se nije desilo, ali misli da retko ide dash? Problem sa 737 sa kojim sa leteo par puta u poslednje vreme je sto je stara kabina I smrdi na cigare...mislim da je to samo jedan od cetiri dakle najgori avion u floti..
svaki dan letiz beograd-bec u 18.20 leti dash8! nekad ujutru i u podne ali retko, zato svako vece!!! 737 jeste kabina stara, star je i avion ali me ipak raduje da salju vece avione za bec!!! Also, do JU and W6 have the same legroom? I flew on YU-API and YU-APF recently and found the legroom to be rather tight. I tako dalje. Pozdrav, D.
However, looking at JU's website, it says that their A319s have 120 seats but didn't they add an extra row of seats about this time last year? I find this topic very interesting. So, Air Serbia added an extra row to all its A319s (suppose in Y class). In all documents they show 8J+120Y seats pattern. Have I understood well ? What about A320s ? No, they did not. ASL Y class still has 120 seats, and J class 8 seats in 2 rows. Nemjee, gde ste leteli i kakva je bila popunjenost? Koga interesuje popunjenost, AirSERBIA je imala 57% u januaru, takodje 57% u februaru i 61% u martu. U aprilu bi mogla biti i bolja. Летео сам за Копенхаген, у одласку је било 107 путника а у повратку око 110. Све је било супер сем простора за ноге који је за мене био јако лош (висок сам 1.85). Пре једно две недеље на лету за Ларнаку било је 67 путника и ишао је А320 али због робе. It all depends on where you seat really. The worst legroom is in row 4 and 5. The last few rows are way more comfortable. When I traveled from AMS to BEG I sat in row 5 and man was that the tightest space I ever sat in. At the same time on the return flight I sat in the last row and I was more then satisfied. Can somebody explain this? I am also like Nemjee around 185 cm which is I would say is around average height for man in Serbia. I know that in exit row there is more space, but we are not talking about exit row. Hmm... I was in rows 17 and 18. Out of curiosity, what aircraft did you fly on? On both legs it was Airbus 319. I am not saying that the legroom was great in the last row but I found it ok. As for the row 5 it was terrible. So Adria will have the same number of planes as Croatia Airlines. Air croatia isn't a true company, and with those extremely low yields, it won't be for too long, same goes for sea air, dalmatian and few other delusional "airlines"
OT: HETA blocked accounts of BH Airlines , again, due to EUR 7.5 million debt. Do most airlines today simply lease aircraft or actually own them? What's more profitable? most airlines lease to own, cheaper that way, Lessors get great discounts on their orders, sometimes up to 15% if they order 50 or more aircraft, that gives them great amount of space for maneuvering when leasing fleets to various air operators. Example, Croatian Airlines leasing fleet of Q400s on 10 year lease to own, what that means is that OU is paying around $3.75 million per aircraft to Lease owner, netting lessor $700-800 000 per aircraft per year. after 10 years OU will own the fleet of Q400s but lessor would have also pocketed 7-8 million per aircraft in same period. It would seem that OU is out of pocket by buying 10 year lease, as lessor got these aircraft at 10-15% discount they didn't need to pay full $35 million asking price instead they only paid $30 million, OU would have paid $35 million up front per aircraft but would have had to raise massive loan to do so, incurring fees and interest. This way OU pays for aircraft which are insured and will own once the lease expires in 10 years time, at which point OU can sell the said aircraft back to lessor or use the aircraft as it wishes. This is how most air carriers these days operate. In the past air carrier would simply call on manufacturer and buy the aircraft at said price, which is what OU did in 2008, when they ordered 4 brand new A319s, problem is if carrier doesn't have $320 million, reason why OU right now is in rather precarious position. This winter season, flydubai is increasing BEG flights from 3 to 4 weekly. GDS still shows 3 weekly - that is yet to be updated, you have some inside info? So FZ is also in ex YU expansion mode along with QR as they are increasing both ZAG and BEG! Confirmed, FZ will fly four times per week to Belgrade, starting from W15/16. I feel like this is all just to make others life harder in BEG as already said on this site. There really is no need for 4 weekly FZ, 7 weekly QR, and 14 weekly ASL/EY, plus dont forget Pegasus and TK since they are killing it on routes in Middle East other than UAE. no man, one word "Starlete"
This is no longer aviation, but it's worth mentioning it's more of an urban myth. Compared to imports from all the other countries, Serbia's marketshare is rather small. If you want to see real impact this business makes on airline traffic, show up for weekend departures at Burbank airport (BUR) going to LAS. Huge business. "Compared to imports from all the other countries, Serbia's marketshare is rather small" spot on dude, BUT the shares are increasing by each day! Maybe one day we will be the Ukrainians and Russians, you never know. Our "product" is top quality by the way. OT: Random news, fantasy news and rumours. Pick what you like, diss the rest! Nije gledalo dovoljno ljudi pa je zato ukinuta emisija . Nije sigurno zbog cenzure. Zaboravili ste slag na torti da 18 cap I 8 fo da ide na obuku za nekoliko meseci..
Strong denial of the rumour stating Air Serbia will pull out of "storage" one 733. Or two of them. ("at least one...). Add this one: in the coming weeks ASL will add new code share on BEG-BUD route with connecting flight out of BUD. Pa to zna svako sa CA. Vama bivsim Jatovcima sve smeta nece doci kasni uskoro ide 18 cap i 8 fo na obuku za A330 a preko 16novih pilota ce doci za A320 familiju. Proverena vest je da u naredna 2 meseca dolazi jedan ATR 72 i to je to za ovu godinu. Mali, nisam bivši Jatovac. Termin "bivši Jatovac" se ovde valjda koristi kao uvreda? Greška, dosta bivših Jatovaca i dalje leti za Er Serbiju i odlično radi svoj posao. Da piloti rade odlican posao i stw . Ali oni sto su jos od pre otisli u penziju na njih mislim oni ne podnose ASL. Jel mozda poznajes nekog licno, kada tako tvrdis? Dovoljno je sto vidim po fb sta rade a i pisu ovde jako puno . Kako ti keve ti znaš ko je bivši jatovac kada piše ovde kao anonimac. Termin bivši jatovac postao je sinonim za one koji se ne slažu sa bajkama Air Serbie. Samo precrtana državna politika gde svi oni koji nisu za vožda su sigurno pripadnici konkurentske stranke, jer svatko drugim mora da se slaže sa uvek ispravnim supermenom. Samo ovde je supermen Kondić i sve bi bilo savršeno samo da nema tih par biviših neradnika jatovaca, marginalne skupine buntovnika koji su nesrećni što ne mogu dalje da uništavaju i muzu kompaniju. E stvarno svašta! Most are permanently grounded. YU-ANV looks like it could be put back in service very quickly. It even has proper engine covers. G Kondic jeste superma posto je toliko pobolsana usluga a tek ce biti. Zna se vrlo dobro ko pljuje ASL . Sa oba dve se strane malo preteruje. Predpostavljam da će biti serija 500, međutim, nikad se ne zna. What happened to A319 on JU404 to CPH today? It took off, but then returned to BEG. A replacement B733 was sent to CPH, and the flight is delayed some 4 hours from original schedule. Find me an airline on this planet that never had the same scenario. Aktiviraju sve 733 ispred hangara, mozda zatreba i neki Jatov 727 ili Genexov 732...A pricalo se 733 prestaju u prolece 2014....Danas lete 4 a/c 733, a Avioletovi carteri nisu ni poceli...sta ce tek biti u sezoni? As I told, but it got deleted...Potez 29 and DC-3. Panika! Uskoro ce i Karavelu ispred muzeja da osposobe za letove! Koliko ja znam carteri ne idu nocu 00-05h, sem Egipta koji ne leti vise JU. Da, teoretski mogu, ali da li ce? - Turska, Grcka - sve ide danju, pogledajte proslogodisnji timetable ...sorry! turske kompanije su prosle godine letele nocu. Aegean је такође летео око 3 ујутру, заједно са Онуром. Pa vi idite u Tunis na more pa ce carterice da budu po danu! Ja vise volim stari 733 nego a319. Cisto da vas obavestim. I generalno vise volim boing od erbasa.